Stories of domestic violence like this one are so important to share because part of the power abusers have lies in everything being kept a secret. 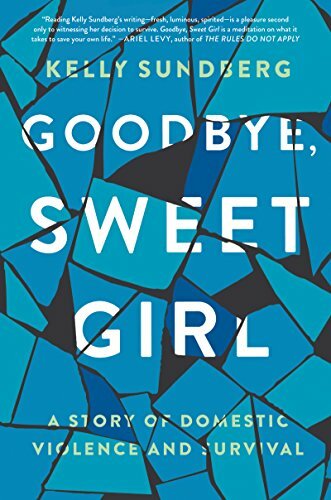 This book made me think about the speediness of abuse–not just how fast the cycle starts but how fast the relationship starts. They were pregnant fast, engaged fast, and married fast. But it took years to get out. It sounds like her kid is like 7 by the time she gets away from him. It was hard reading about how her parents “dealt” with her situation too. It’s annoying that when she tells people he’s so mean to her or something, people say things like “marriage is a lot of work.” It’s the kind of phrase that is so cliche that I don’t think anyone even knows what it means. That is such an unhelpful and dismissive response to someone who is opening up, even if it’s just a little bit. Right after I finished Goodbye, I read this article about a woman who was shot and killed by her ex while doing a custody drop off at a police station. One thing that Sundberg’s lawyer said (or maybe it was her therapist?) that surprised her was that she could end up dead. She didn’t even realize how bad her situation was comparably, but it’s also sad how predictable these situations can be–it’s the same cycle over and over and so many women die at the hands of their abusers. The system wasn’t built for the complexity of these situations whatsoever. It’s just so sad.